Learn latest Asthma Treatment with Asthma Symptoms, Causes, Prevention and Pathophysiology. 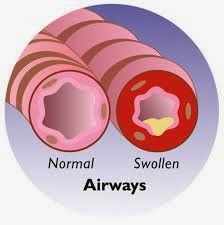 Asthma is chronic inflammatory disease of the airways and it is common in almost all populations. It is characterized by recurring symptoms of reversible airflow obstruction and bronchospasm. Common manifestation of asthma are wheezing, coughing, chest tightness, and shortness of breath. WHO Asthma Factsheet shows that there are around 235 million asthmatic patients in the world. Asthma is a common disease among children. The data further shows that most asthma related deaths occur in low and lower-middle income countries. Asthma treatment, control and management is possible through medications. But avoiding the allegens that cause asthma is the best way to avoid asthma attack or reduce the severity of asthma. Appropriate management of asthma can enable people to enjoy a good quality of life. The strongest risk factors for developing asthma are inhaled substances and particles that may provoke allergic reactions or irritate the airways. The underlying cause of asthma is combination of genetic and environmental factors. Asthma diagnosis depends upon pattern of symptoms, response to therapy over time and spirometry. Its classification depends upon the frequency of symptoms, forced expiratory volume(FEV), and peak expiratory flow rate. Sometimes asthma is classified as atopic (extrinsic) asthma as or non-atopic (intrinsic) asthma. Atopic means asthma due to some allergens that may cause type 1 hypersensitivity reactions like pollens. Asthma was first recognized in Ancient Egypt and it was treated by drinking a mixture known as kyphi. It was named as a specific respiratory problem by Hippocrates with the Greek. In 1873 a paper was published in modern medicine to explain the patho-physiology of the disease concluded that asthma can be cured by rubbing the chest with chloroform liniment. In 1880 the use of intravenous doses of a drug called pilocarpin was included in the treatment of asthma. In 1905 epinephrine was first time used to in the treatment of asthma. In 1950s Oral corticosteroids began to use for this condition while selective short acting beta agonist was brought into use in the 1960s. 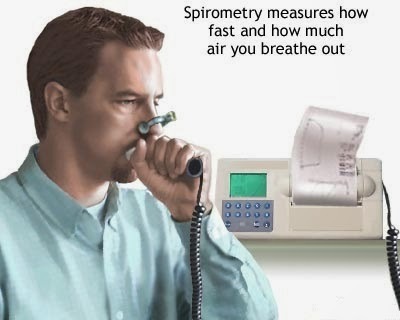 Spirometry is very useful procedure for asthma diagnosis and management. It is one of the best test for asthma. If the force respiratory volume measured by this method improves more than 12% following administration of a bronchodilator such as salbutamol, this is supportive of the diagnosis. Value of force expiratory volume is normal in those with a history of mild asthma. Caffeine is a brochodilator that may interfere with results of this test if taken before performing this procedure. Single-breath diffusing capacity can help differentiate asthma from COPD. Digital chest x-ray is also valuable test to estimate the severity of asthma. 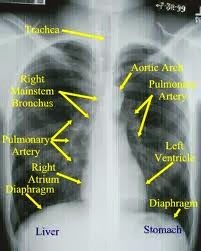 If there are some structural changes in air-way or alveoli or any other part of lungs it can be noticed by digital chest x-ray. Asthma is combination of complex environmental and genetic interactions. Asthma severity and response to asthma treatment depends upon underlying cause. Now, it is observed that increase in asthma rate is due to change in epigenetics factors and a changing living environment. Many environmental factors act as trigger for the development and exacerbation of asthma including allergens, air pollution, and other environmental chemicals. Low oxygenated air and high air pollution due to traffic pollution has been associated with both asthma development and increased asthma severity. Inhalation of toxic pollutants like volatile organic compounds for example hydrocarbons, chloroflouro carbons, lead and formaldehyde exposure have strong associations with development of environmental asthma. Toxic polymers like phthalates and PVC(poly vinyl chloride) are associated with development of asthma in children. Family history is very major Factor in genetic predisposition of asthma, with many different genes being implicated. If any person having asthma problem in his family history then there will be 25-50% risk of development of asthma. It has been shown that about 25 genes are associated with asthma in some populations, including GSTM1, IL10, CTLA-4, SPINK5, LTC4S, IL4R and ADAM33. Many of these genes are related to the immune system or modulating inflammation.This observation suggest that there is complex interaction between these genes and environmental factors that aggravate inflammation and production of inflammatory triggers such as leukotrienes,platelet aggregation factors, neutrophils and macrophages that will lead to inflammatory response. The role of dietary factors is controversial. Research has shown that diets low in antioxidants such as vitamin C and vitamin A, selenium, and omega-3 or high in sodium andomega-6 polyunsaturates are associated with an increased risk of asthma.Vitamin D has multiple role in body including its role in immunity. Vitamin D deficiency may also predispose to the development of asthma. vitamin D has multiple role in body including its role in immunity.However,clinical trials have not supported the association of such dietary deficiencies with development of asthma. Obesity is also an independent risk factor for asthma, particularly in women,but the mechanisms are thus far unknown. Viral infections may also act as triggers of asthma exacerbations, it is not clearly understood how they play a role in pathophysiology. It has been observed that there is some association between respiratory syncytial virus infection in infancy and the development of asthma, but specific pathogenesis is not clearly understood as this infection is very common in children. More recently, atypical bacteria such as Mycoplasma and Chlamydophila, have been implicated in the mechanism of severe asthma. Occupational asthma is another type of asthma that may affect up to 10% of young adults. 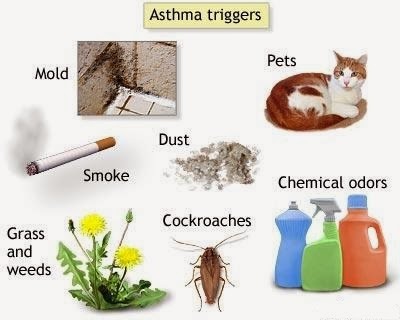 About 200 sensitizing agents have been identified that can trigger asthma. 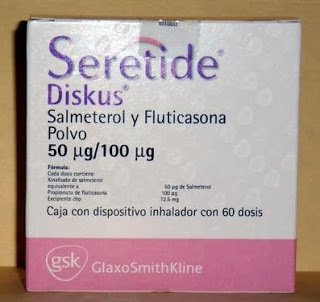 For example toluene di-isocyanate and trimellitic anhydride may cause atopic or extrinsic asthma. Individuals may also be exposed to allergens in the workplace such as small animal allergens in laboratory workers and fungal amylase in wheat flour in bakers. Occupational asthma may be suspected when symptoms improve during weekends and holidays. 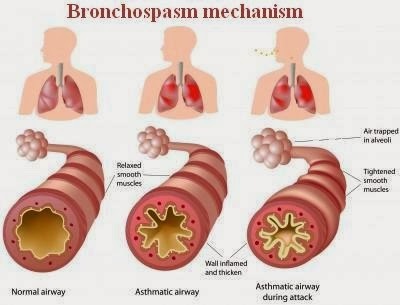 Asthma is basically inflammation of the airways which results in bronchoconstriction of the surrounding smooth muscles. This constriction of air-way leads to narrowing of airway passage and causes spasticity of bronchial smooth muscles and reduces its stretchability. Typical changes in the airways include an increase in eosinophils and thickening of the lamina reticularis which an indication of inflammatory response. This inflammatory response is further aggravated by involvement of immune system including T lymphocytes, macrophages, and neutrophils. There may also be involvement of other components of the immune system including: cytokines, chemokines, histamine, and leukotrienes among others. Methylxanthines or methylated xanthines cause bronchodilation of air way by relaxing bronchial smooth muscle and helps the constricted airways to dilate. The mechanism of action of methylxanthine is not clearly understood but it is observed that methylxanthines inhibit the enzyme phosphodiesterase, which decrease the level of cyclic AMP(CAMP). Methylxanthine’s main function regarding bronchodilation is to increase the concentration of cyclic AMP. This cylic AMP will in turn decrease the constriction of smooth muscles and causes relaxation of smooth muscles of respiratory tract. Main mechanism of these agents is that they stimulate beta -2 receptors that are present on bronchial smooth muscles and responsible for constriction or relaxation of smooth muscles. Stimulation of these receptors via beta-2 agonists causes relaxation of bronchial smooth muscles. There are two types of beta adrenoceptor agonists. Long acting beta adrenoceptor agonists are used in patients with chronic type of asthma or having asthma problem for a long time. It can also be used in patients who have high grade of severity or sudden attach of asthma with prolong history of such problem. For example salmeterol and formoterol. Short acting beta-2 agonists are mostly used for rapid relief. They are short acting and have rapid action while long acting have prolong action but slow onset. Mostly short acting agents are used when the level of severity is mild to moderate. 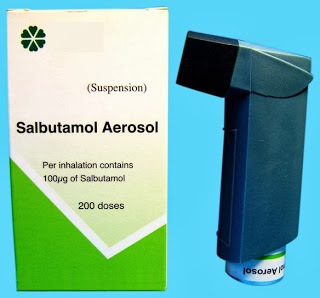 Examples of these drugs includes Salbutamol and terbutaline. Leukotriene is an inflammatory mediator release during an inflammatory response. 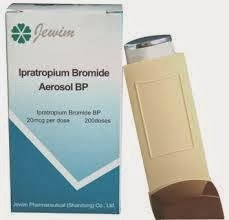 It has very vital role in aggravation of asthma. 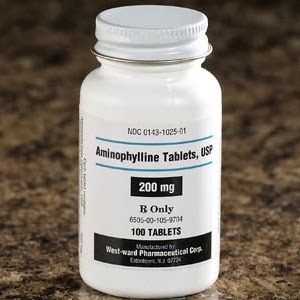 Long term asthma treatment and management requires regular doses of these leukotriene inhibitors because they inhibit the release of leukotrienes. 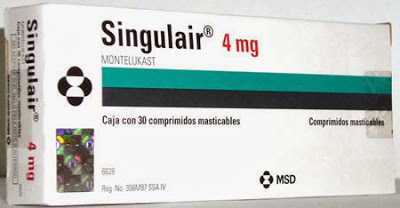 Examples of such drugs are Montelukast and zafirlukast. Corticosteroids are also used in the management and asthma treatment due to their anti inflammatory action. Use of corticosteroids is best in those patients who have chronic type of illness. 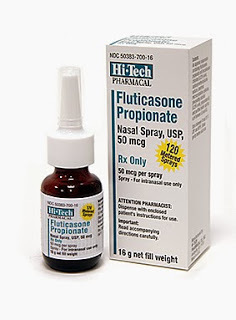 Now a day number of corticosteroids are used in longterm management of asthma for example fluticasone,beclomethasone and budesonide. Asthma Treatment with anti cholinergic drugs is very effective in asthmatic condition because of their beneficial effect in asthma and other pulmonary diseases. But they are more useful in chronic obstructive pulmonary diseases(COPD). These drugs have multiple effects like relaxation of bronchial smooth muscles,increase in CAMP level and stimulation of beta-2 receptors present on bronchial smooth muscles. Examples of these drugs are ipratropium and tiotropium. Avoidance of causative factors is a key of improving control and preventing attacks of asthma. The most common causative agents of asthma include allergens,tobacco and other air pollutants. Cigarette smoking and passive smoke may reduce the effectiveness of medications such as corticosteroids. Avoiding from smoking and alcohol have positive effects in asthma management. 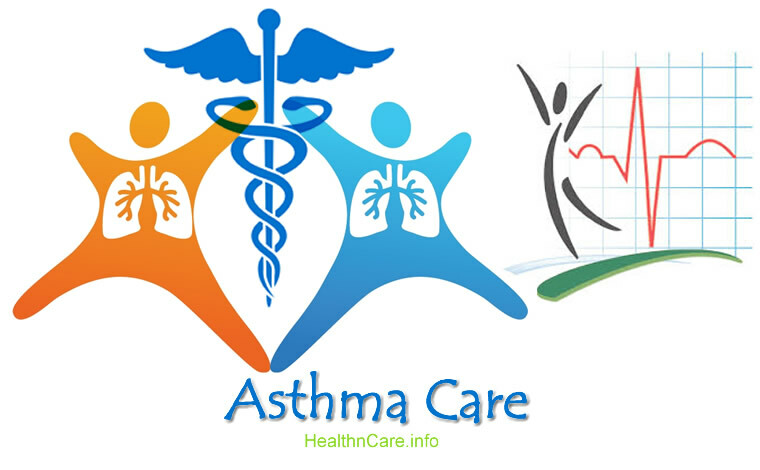 Regular exercise and healthy activities are very beneficial life style modifications to cope with asthma. Asthma can be prevented by proper immunization of influenza annually and using face mask to avoid inhalation of allergens. Smoking is another important factor predisposing towards asthma. So, avoiding smoking is necessary to maintain a healthy life. Moreover, vaccination of pneumonia is also necessary to decrease the risk of asthma in future. Diet has also little effect in the management of asthma eating fresh vegetables ,consuming fresh juices and avoiding from eating too much junk food is a key of good health.